It’s not very often that I’ll take my fashion cues from a celebrity, but some of my favorite and famed style icons use a simple yet effective technique to look great every day and I’ve adopted it as part of my daily routine too! The one thing that celebrities like Jenna Lyons, Victoria Beckham and even Ellen DeGeneres all have in common is that each has her own distinct style uniform. Wearing a uniform doesn’t always mean you have to wear the same thing every day. It just means that you’ve established a clear, consistent style of dress that accentuates the features or feelings you want to visually express. Your uniform is your “go-to” outfit formula. And honestly speaking, its one of the easiest ways to visually brand yourself. It’s a cultivated a look. And if done right, can work for years even in the face of changing trends. If you want to learn more about how to create a style uniform that works well with your particular lifestyle, I highly recommend my new online course Your Style, Your Way. It’s an easy to digest, unique program that teaches you how to find your personal style “sweet spot,” create your personalized style strategy, and learn to organize, prioritize and revitalize your wardrobe. Victoria Beckham knows the power of tailoring and is often seen in menswear-inspired pieces, like a knee-length coat, smart trousers or structured dresses. Ladylike pumps and oversize sunglasses usually complete the look. Jenna Lyons is the former creative director and president of J. Crew – a favorite fashion label of former first lady Michelle Obama. From her signature glasses to that perfect shade of lipstick, Jenna Lyons rewrites the rules on workwear, after work-wear, and even weekend-wear. It seems like she’s never met a sparkly sequin, funky print or bold color she didn’t like. I love her style. It’s fun. It’s feisty. It’s elegance with a twist. 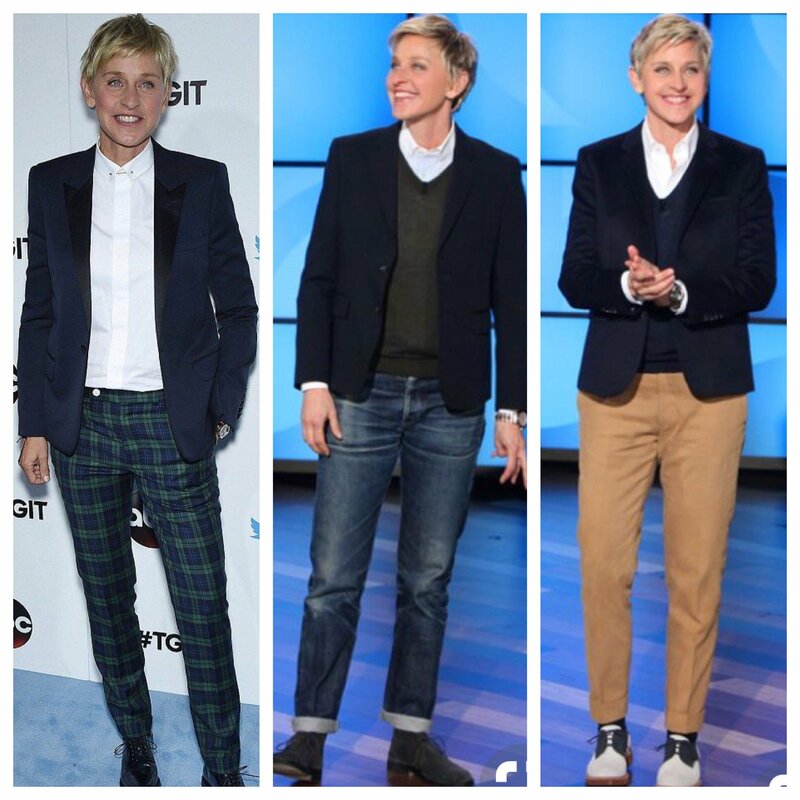 Popular talk show host Ellen DeGeneres is known for her dapper, tomboy style. She’s often seen in jackets and vests. Her aesthetic is fun, witty and approachable.